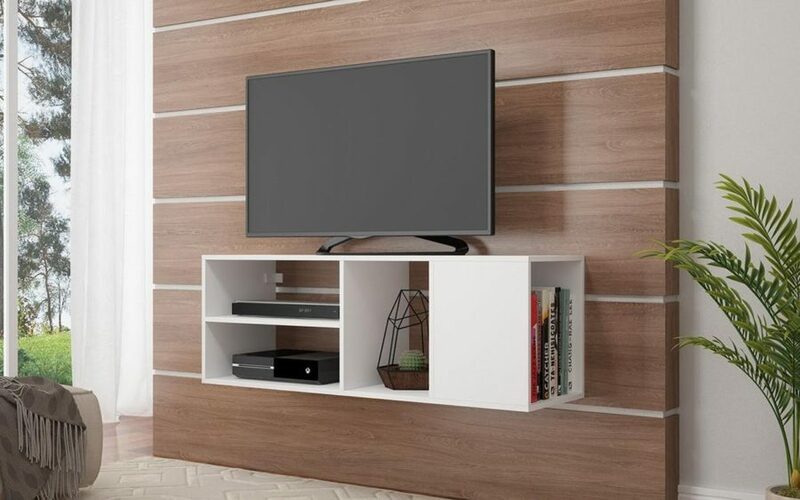 You’ve heard of floating shelves before, right? 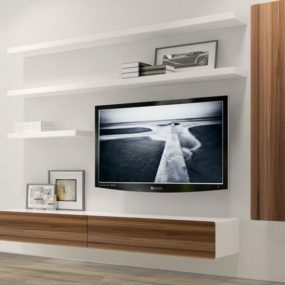 Well, did you know that there are floating TV stands too? 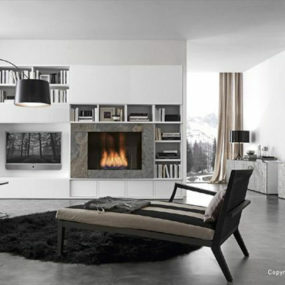 They’ll jazz up your modern living room and help to transform the space into a contemporary awakening. 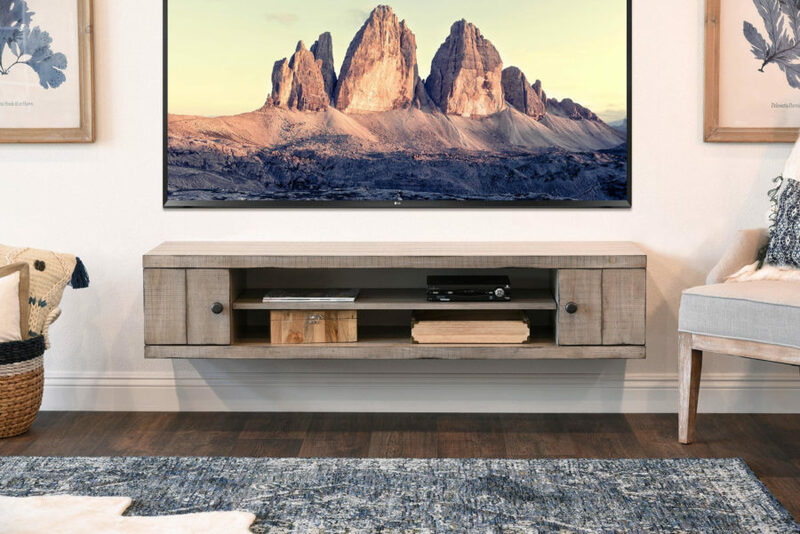 If you want to free up room or create something extraordinary, go with one of these entertainment centers that save space and stays within that same fashion-forward vision. 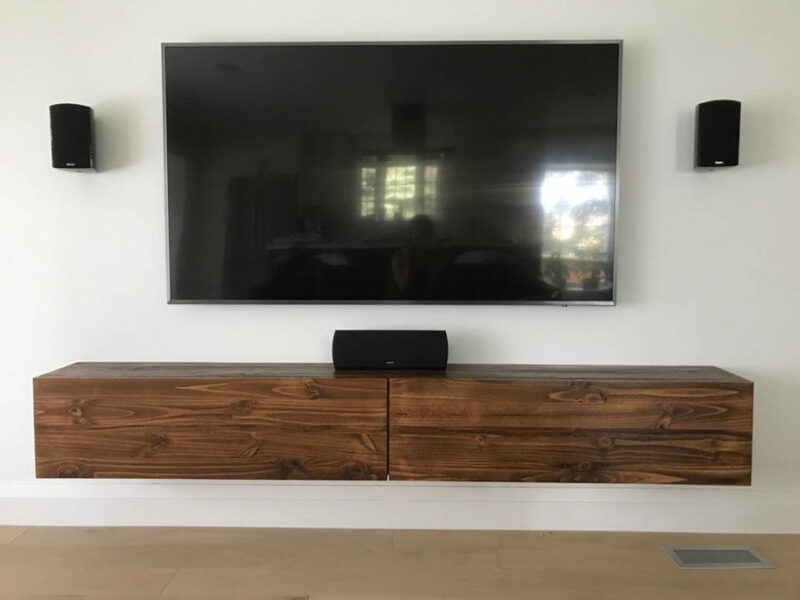 Woodwaves showcases our first floating beauty. 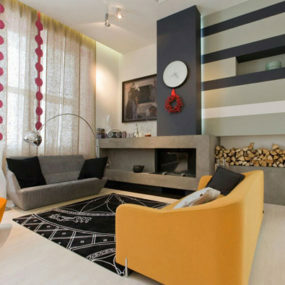 It has a mixed modern and rustic vibe while creating a unique space for your entertainment to remained focused. If you want something for your home that works in cramped spaces or along the lines of your long walls, this one is for you. 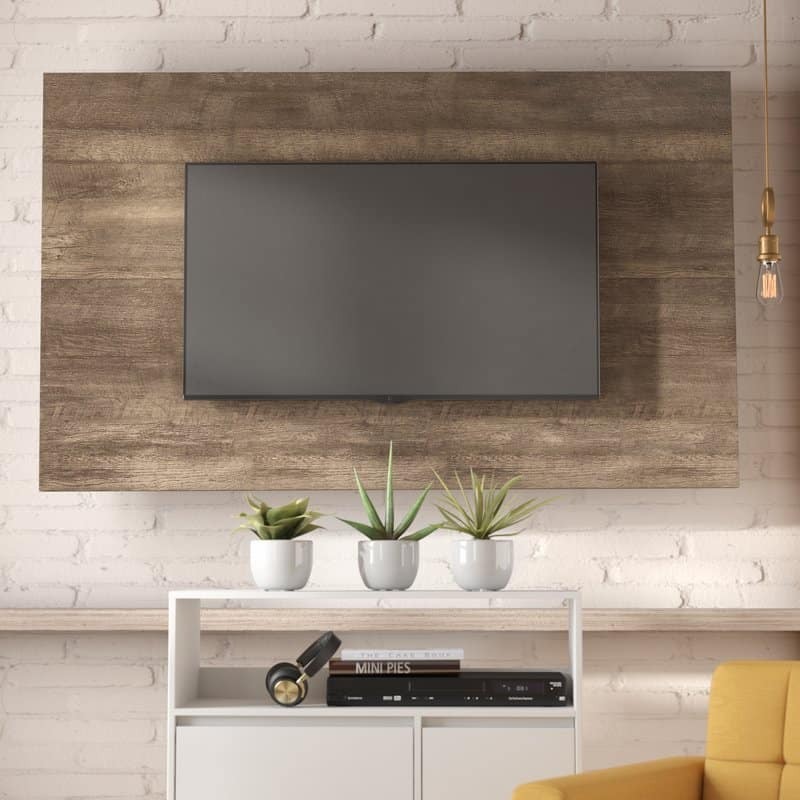 We’re loving this piece from Overstock because it gives ample amounts of opportunity for organizing and storing your media. We love the chic, modern look of this design. 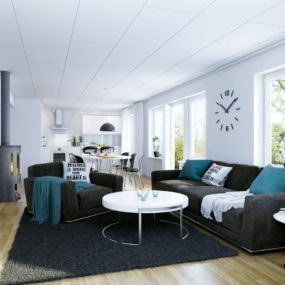 And we believe it’s the perfect design for dorms, apartments, and the like. Check out this smooth and sleek design that you can buy off of Etsy! It’s a beautiful, quality piece made with real wood. You can even add a bit of paint for color if you’re feeling festive. 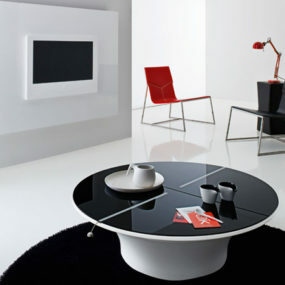 Then we have this sleek piece from Hayneedle. 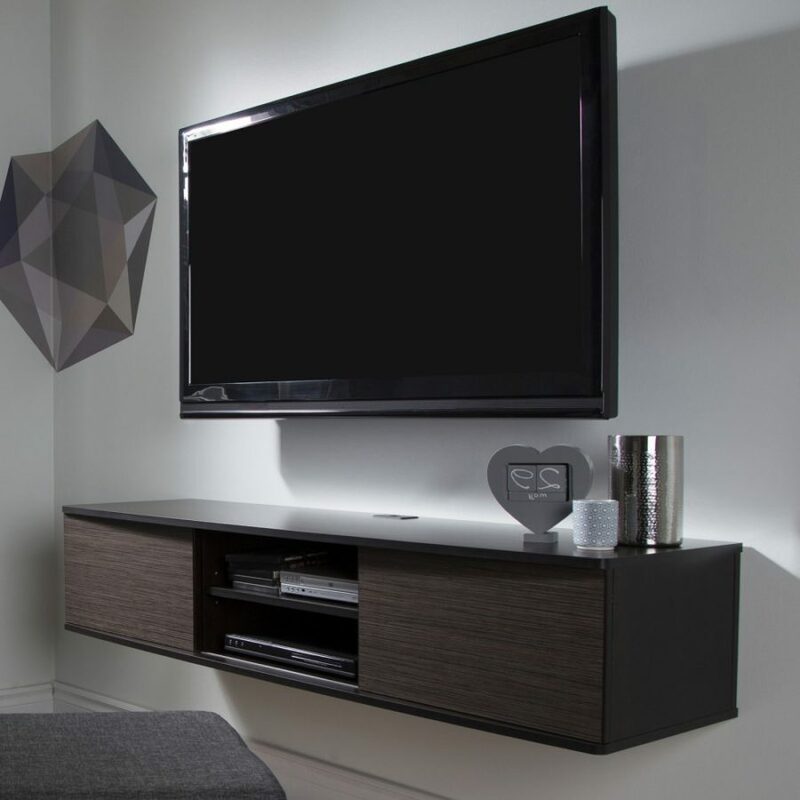 A mix of woodgrain and black, it’s a versatile design that will blend well within all kinds of family spaces. Contemporary, traditional, even a trendier atmosphere would fit this nicely. If you visit this piece at Amazon, you’ll find one of the most unique designs. With its asymmetrical shape, you’ll get both function and style within the buy. It comes in two tones: columbian walnut and skyline walnut. 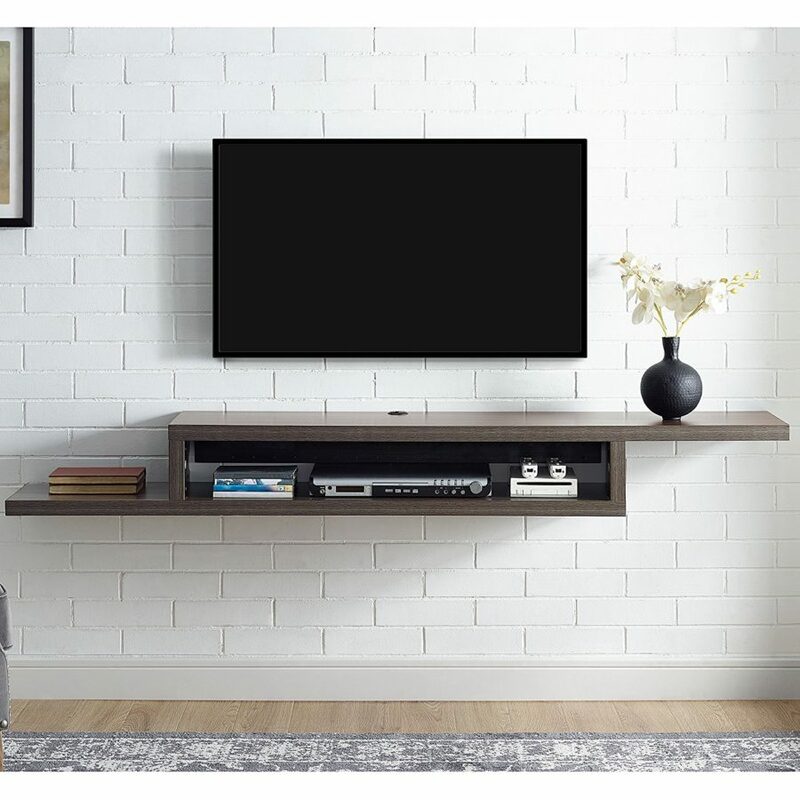 Walmart has an easy floating TV stand as well. 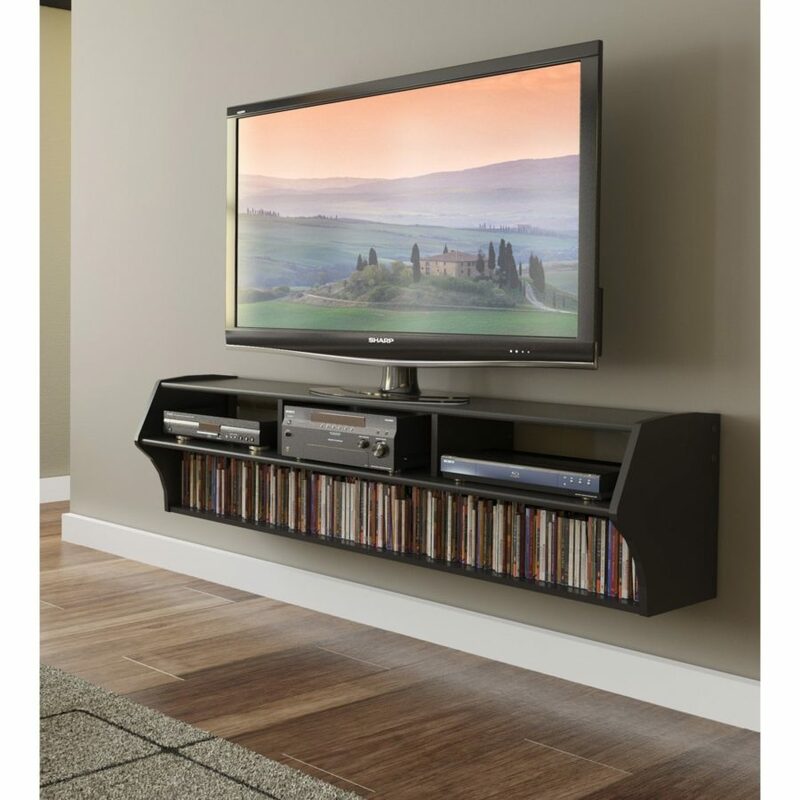 It has several different nooks for displaying and organizing media. And the price point is just right on the wallet. We love that it comes in aw woodgrain black as well, of really blending. 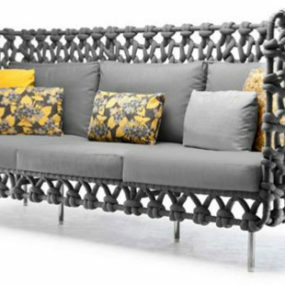 We’re loving this mixed material piece as well. It has a cool, 90’s vibe about it’s style. You can visit Sears to check out more details. 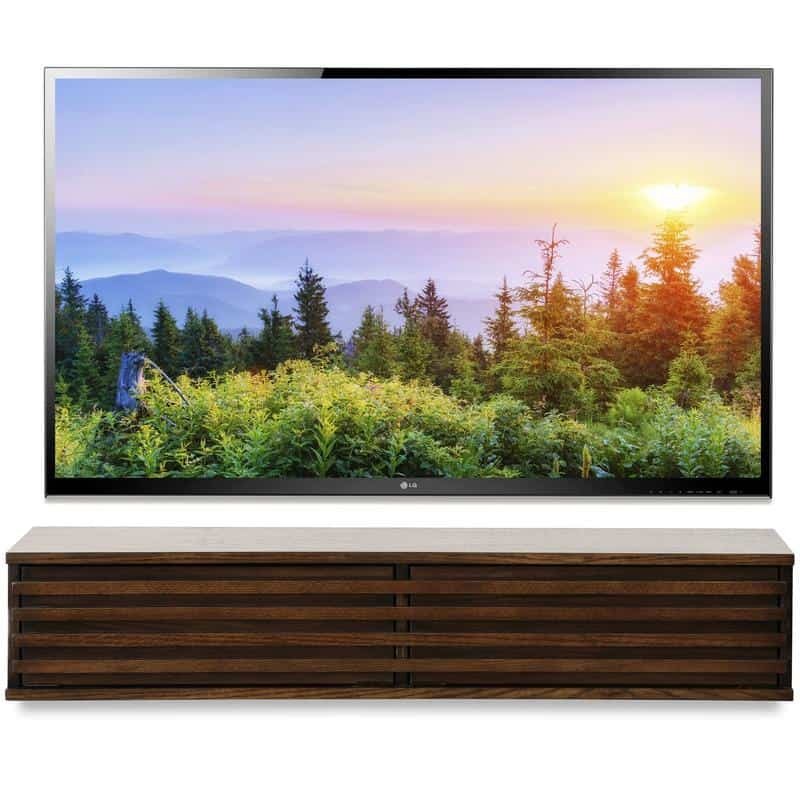 It holds up to a 50 inch TV so it’s great for the living room or even the bedroom. Deluxe Deco features this gorgeous, chic white piece that would fit inside any modern home. We love the poshness of this design and how crisp it looks. And there’s storage space inside! Here’s a bigger design that would fit nicely inside more open spaces. It fits larger TVs as well, which is a definite plus. Hayneedle will give yo all the ins and outs of this piece and show you what colors it comes in. 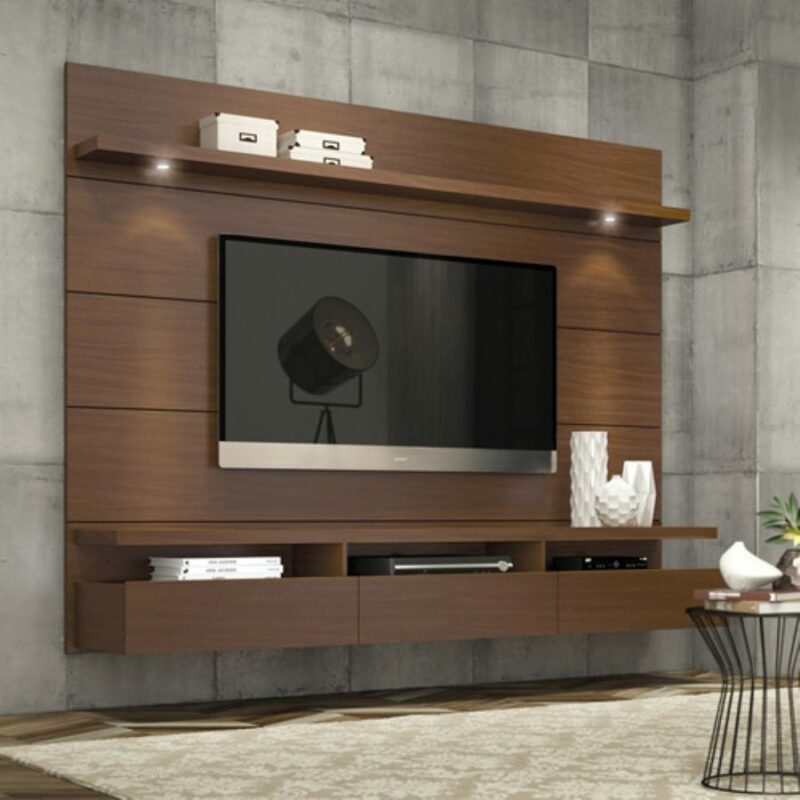 This isn’t necessarily a floating TV stand but it is a TV base that looks beautiful. Joss & Main has this rustic beauty featured and we feel like it would look fantastic within more farmhouse style homes or rustic visions. Take a look at the details after the jump. Modish has another extra chic piece up their sleeve as well. We love this easy white piece and all the nooks and crannies that it has to offer, making it a more interesting look for the living room. Here’s another handmade Etsy design that we were inspired by. 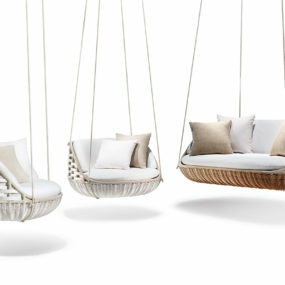 It could fit so easily into rustic, farmhouse spaces or ones with a more trendy, youthful vibe. There’s a little storage space as well, without taking up too much square footage in smaller areas. 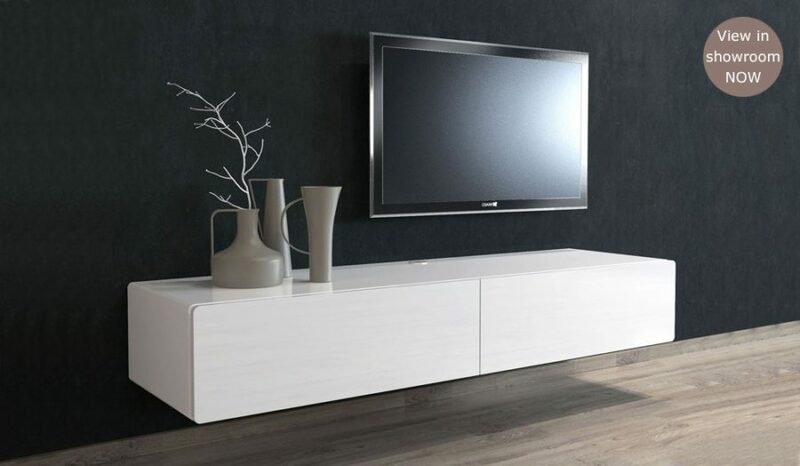 Amazon gave us this white floating TV stand as well. 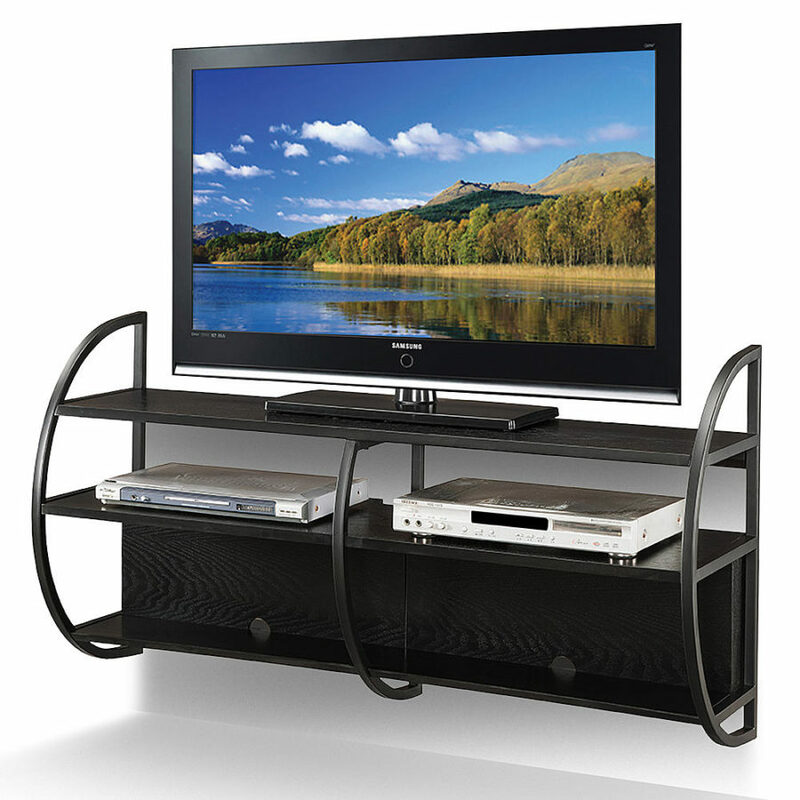 We love that it has a space for each of your necessities and you can slide your movies right in without issue as well. 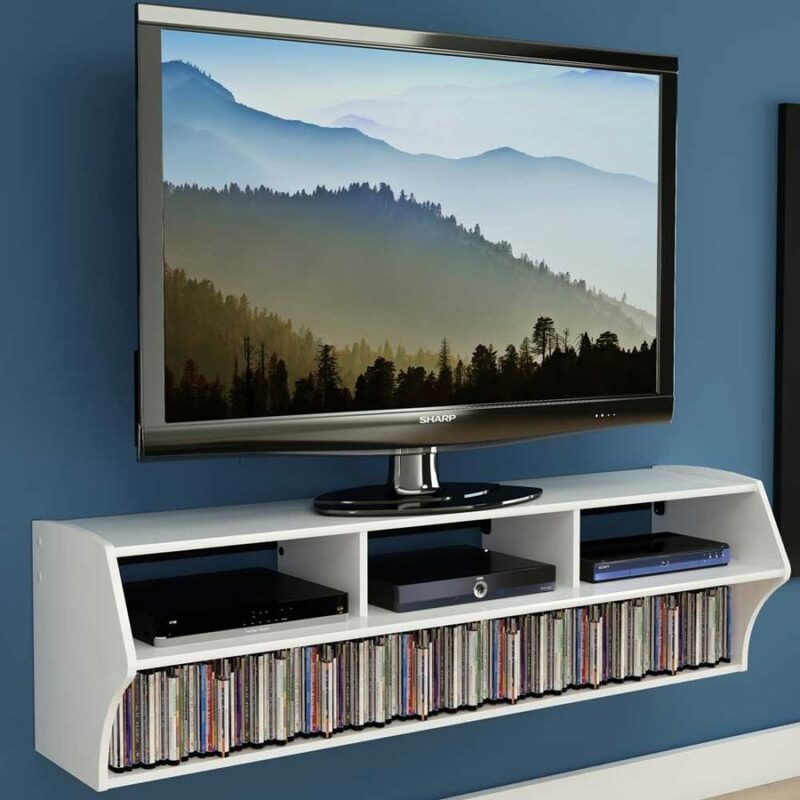 If you want to combine your media storage and TV , this is the way to go. 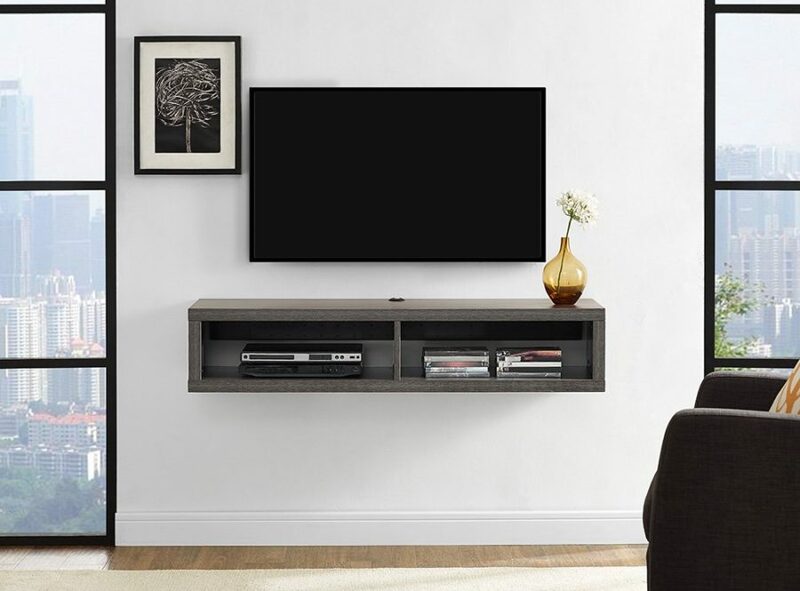 One of the most simple designs on the list, All Modern gives us this shallow, 48″ TV stand. The color is versatile and it sits as a traditional piece to match all interior design genres without issue. The price point won’t break the bank either. 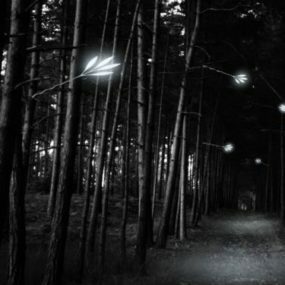 And finally, visit Woodwaves one more time and take a look at this beauty. It’s one of the most unique pieces not the list, and our favorites. 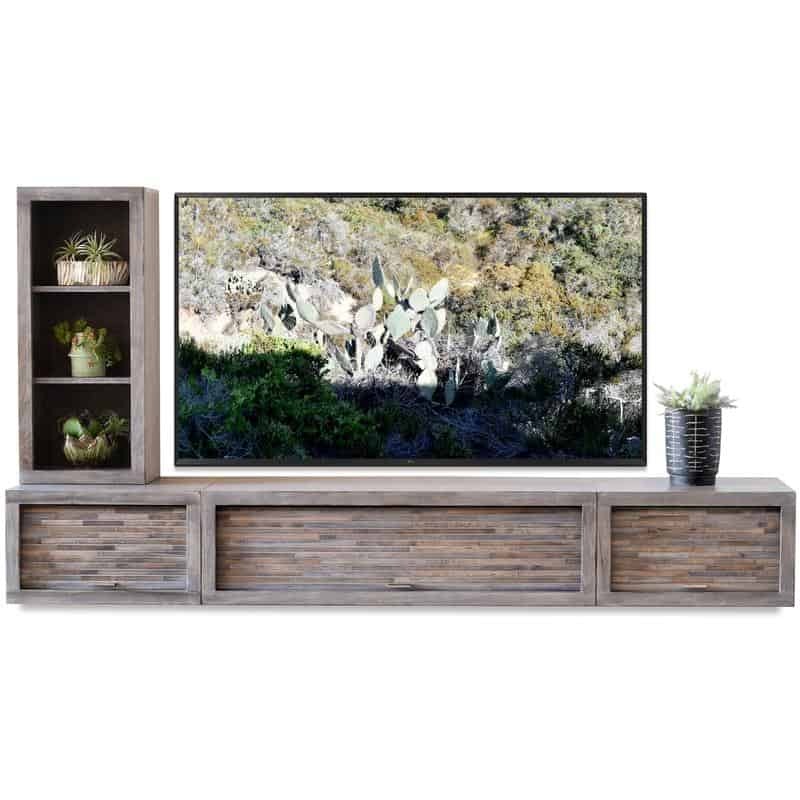 Eco-friendly, storage options, and a stunning wood pattern, it’s a winner.